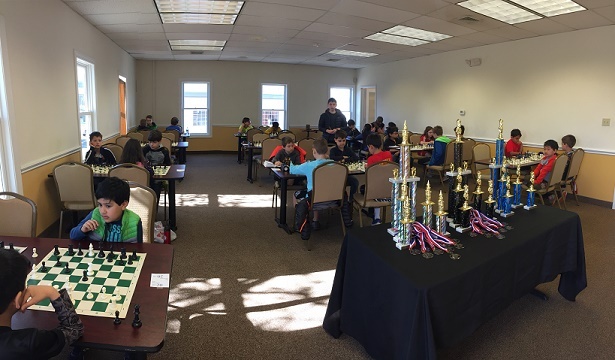 This week we hosted 27 eager players for our monthly K-12 Scholastic Championship. 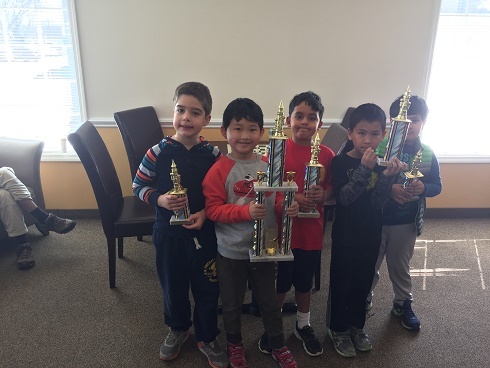 In the K-2 section Ayush Rudra, Aaron Cushman, and Brian Yee came in fifth, fourth, and fifth place, respectively. Kiran Behringer came in second with three out of four total points. Chenxi Lu won all of his games; he was first in the K-2 section. 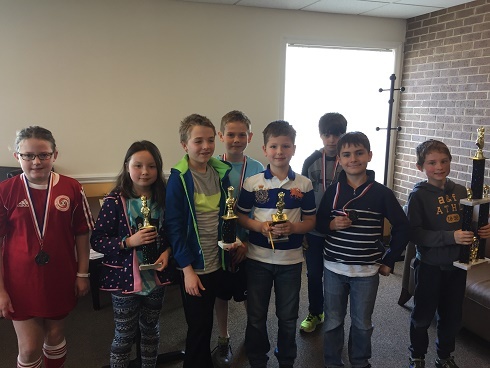 Eleven players competed in K-5. In fifth pace was Erik Nebylovych, with two out of four points. Mateusz Zalewski, Lia Lavin, and Leo Zhang all won three of their four games. They came in fourth, third, and second, respectively. Mikhail Bilokin won all of his games, often against opponents much higher ratings. Mikhail was the winner of the K-5 section. 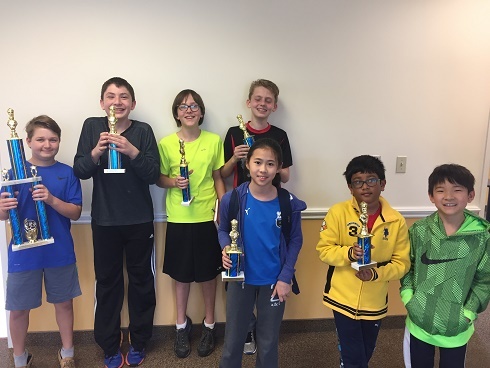 K-12 was our most competitive section, with eleven competitors playing three G/45 games. Vikram Sarkar, Jack Klein, Ethan Cushman, and Aurelius Mlynar all won two of their three games. They came in fifth, fourth, third, and second place, respectively. Brent McCreesh played flawlessly, winning all three of his games. Brent won the K-12 section. Congratulations to all the winners and thank you to all the participants. We hope to see you again next week!